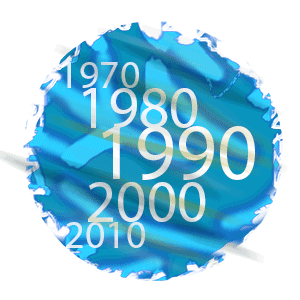 Founded in 1985, Tommaso was introduced to come up with state-of-art bike features. 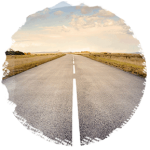 Over the years, more and more cyclists across the globe have been steadily feeling their impact. The name “Tommaso” is an Italian word that means ‘Thomas’. Perhaps what stands out for Tommaso is that unlike most brands, the whole assembling process is done at the factory. 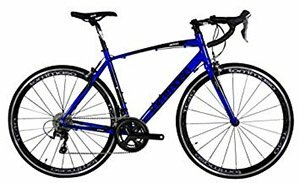 As a result, they have come up with impeccable road bikes with a full Tommaso frame warranty. But what else? Let’s cover it in this Tommaso bikes review. When the bike company was being founded in 1985, it specialized in making road bikes; the designers had cycling beginners in mind. In fact, the name “Tommaso” was not inspired by any original founders but just the need to appeal to ordinary folks. It is one of the most popular brands in the world thanks to its affordable rates. It traces it routes in Italy where engineering takes place before exportation to the US. The main headquarters where they do their assembly is in Denver, Colorado. Initially, they used stainless steel to produce the frames but slowly, aluminum was included to create a light brand. Bicycle designers saw the need to create a unique road bike brand that would suit people of all colors, genders and age groups. Today, Tommaso bikes has come up with models such as track bikes, triathlon, fixed gears and cyclocross bikes. Tommaso as a company values its customers’ satisfaction because they believe that’s the best way to promote their brand’s name. In fact, their employees are among the biggest users for these products. Tommaso relies on Shimano Tiagra 4700 drivetrain to design the Ghisallo. This enables it to switch all the 24 gears and attain a reasonable mileage. Since it falls under the perfectly Elite Engineered Carbon Series (EECS) and the Flex Elimination System (FES). The frame is firm enough to give you good control power. Direct sales to the users are a clear justification of the company’s fairness in pricing. The bikes use the best technologies characterized by a 19.8lbs small frame that offers the rider a firm grip. Unlike other brands, it has no reflectors. The Carbon Frame and Fork use Toray T700. The frame is made of lightweight aluminum and steel fork that come with a promise of durability. Other features include; Tommaso Corsa wheels, compact crank, Shimano Tiagra Shifters and ultra-compact flattened top bar. Most people that use most Tommaso road bike brands can attest to its fair pricing. Most users have given the bikes a score of 4.5 out of 5 stars. They are impressed by Tommaso’s incredible performance while still maintaining an affordable price tag. However, some of them found the seats and pedals quite cumbersome to handle. “I have been riding a Marinello Tommaso CF bike for a year now and I love it. I am considering getting the Superleggera, to train in the hills of 6 and 8 percent grades. In need of the lower gears to train my muscles. Most people do not have the muscle quads of the pro cyclists,” wrote Dave Biasi. “My Pinarello FP due was the same price as this 2 years ago with Shimano 105. Kind of makes me wish I got this instead. Don’t get me wrong, I love my Pinarello, but this Marinello Tommaso CF is a fantastic deal and with great components,” said Aaron. Tommaso technicians have partially assembled it in readiness for shipment. In fact, it is 99% assembled and prepared for tune-ups. It can be used on the road in less than 10 minutes after unwrapping it from your box. It is presented in various sizes that suit extra-small to extra-large cyclists. Even better news is that all bikes from this company have a Manufacturer’s Component Warranty and a Tommaso Lifetime Frame Warranty. They allow riders to test ride for a week before presenting their feedback. You are allowed to demand for a new bike just in case you are not pleased with the features. 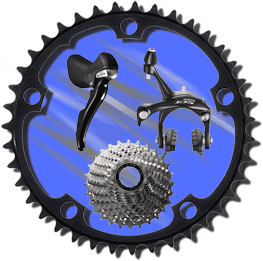 In other instances, a professional bike expert may be required to assemble and align the gears. 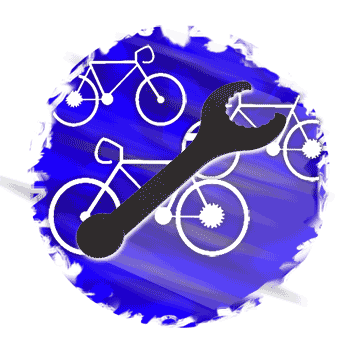 Most local bike shops already have a technical expert to help you out but remember that this will come at a small fee. Alternatively, you can also opt to purchase an already assembled bike on Amazon. Tommaso also sells other stuff like bike clothing and protective gear to go with their bikes. The company still specializes in making road bikes like Performance Road, Endurance Road, Competition Road and Adventure. However, Tommaso has also ventured into Hybrid/Fitness bikes. They use top-notch engineering and quality components to come up with some awesome bikes that offer performance, convenience and reliability. Best selling models are Forcella and Imola. 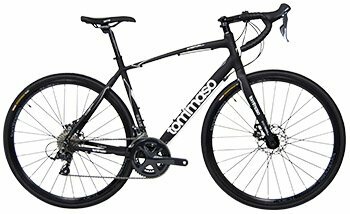 Tommaso road bikes are conveniently used by cyclers participating in major cross-country competitions and touring excursions. The best examples are Tommaso Corsa TC20 wheel-set which features both lightweight and durable frames and Tommaso Imola brands. The Tommaso Imola has been redesigned using Shimano Claris drivetrain technology. With 24 speed of pure power, it able to give you a good steering control for maximum wind resistance. Valued at a direct price of only $624, it features a lightweight stainless steel frame, and better-performing pedals. Although it could still be improved further, it offers comfort, reliability and a great price. The Tommaso Adventure bikes are the closest they have come to manufacturing an actual mountain bike. This revolutionary bike is made to stretch the boundaries of what a road bike should do and hence it doesn’t conform to all the rules of a road bike. They can be used to commute and for adventures in all terrains. Where to shop for Tommaso bikes? They are online oriented. You can buy directly from GiantNerd.com (great selection!) or from Amazon (only some models).